Roger Oakland is an author-lecturer and founder of Understand the Times International. His easy to understand teaching style communicates to people of all ages and backgrounds. Over the past twenty years he has lectured at numerous churches, conferences, universities and educational facilities in over 50 countries. 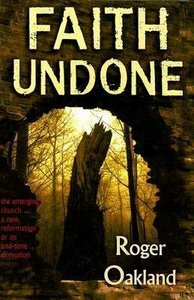 For more information about Roger and his work, visit his ministry online at www.understandthetimes.org.